There is nothing groundbreaking about these ingredients, but this recipe is DELICIOUS! Normally I don't like quinoa but this changed my mind- it's so bright and fresh and interesting, in terms of flavors and textures. Basically a really interesting take on crab cakes- the sweet potato makes them less rich but just as flavorful, and the za'atar is a nice addition to the breading. So delicious with a good squeeze of lemon and some peppery arugula. Just okay. I would cut the sumac back a little. There’s not much small talk – no evocative introductions to each recipe...Nevertheless, it’s a really generous compendium that rewards the committed cook. Hage is a no-nonsense instructor. There are no cutesy anecdotes, no memories of an uncle or grandmother to preface dishes. Only a handful of photos punctuate the book’s 500 recipes. It’s also an international book, and the US terminology will drive pedants and patriots up the wall. Nevertheless, it’s a really generous compendium that rewards the committed cook. Phaidon has made a specialty of producing doorstep-sized tomes on national cuisines for home cooks...on Italy, Spain, France, Greece and India. This latest addition is undoubtedly one of the best. This cookbook is generally approachable for many chefs, regardless of your experience. However, in several recipes, it was observed that the book omitted quantities of certain ingredients. ...covering every aspect of her native cuisine... Hage's directions are concise, with recipes usually appearing two to a page, and accompanied by an array of delicious, full-page, color photos. The Lebanese Kitchen is remarkably accessible. Even if you're new to this cuisine, you should find the recipes simple to follow, with helpful notes on preparation and cooking time. Hage’s food is solid and satisfying. ...And pretty much all of it can be created without a trip to a Middle Eastern grocery store; most ingredients are American supermarket standards. These fish cakes are not too fishy and simply delicious, with the addition of Middle Eastern herbs and spices, in particular, the cilantro and za’atar. I think what I like most about this quinoa is that there’s a lot going on...those ingredients are a textural symphony...Every bite is different but delicious. 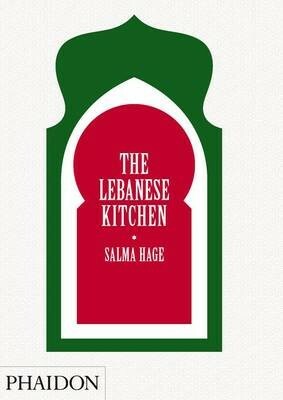 Following on from Phaidon's classic home-cooking bibles of national cuisines, which started with The Silver Spoon in 2005 and has continued with 1080 Recipes, Vefa's Kitchen, I Know How to Cook and India Cookbook, The Lebanese Kitchen is the definitive guide to traditional cuisine from Lebanon. 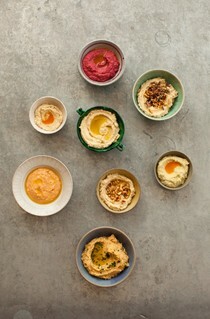 The Lebanese Kitchen brings together more than 500 recipes, ranging from light, tempting mezes to rich and hearty main courses. On the shores of the eastern Mediterranean and a gateway to the Middle East, the food of Lebanon blends textures, colours, scents and flavours from both, and has long been regarded as one of the most refined cuisines in the Middle East. The diversity of Lebanese food reflects the variety inherent in the country's landscape and climate, from the fertile Beqaa Valley to the snow-covered tops of the Danniyeh mountains. This means that fresh and inspiring vegetable dishes such as the classic tabbouleh (bulgur wheat and parsley salad) are as numerous as the meat specialities like lamb kofte, or traditional desserts such as muhallabieh (a milk and rose water pudding topped with pistachios). Many areas produce a range of home-grown fruit and vegetables such as tomatoes, apples, figs, beans, grapes and citrus fruits, and there are many traditional recipes that show the uses that resourceful home cooks have developed to make the most of seasonal produce. Lebanese food has become increasingly popular in the last few years, and is nutritious and healthy (based on vegetables, oil and pulses and a balanced use of meat), as well as aromatic and tempting. Salma Hage, a Lebanese housewife from Mazarat Tiffah (Apple Hamlet) in the mountains of the Kadisha Valley in north Lebanon, has over 50 years experience of family cooking. 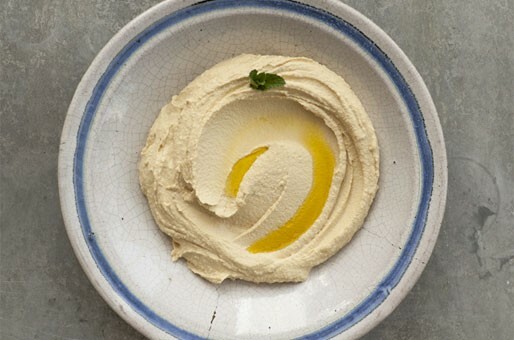 In The Lebanese Kitchen she presents a comprehensive list of her own recipes for family favourites along with classic dishes handed from generation to generation. A combination of old favourites and some inspiring surprises, The Lebanese Kitchen is a must for everyone with an interest in this wholesome and delicious cuisine.